Plugin...Recharge! : The Retractables are Coming! 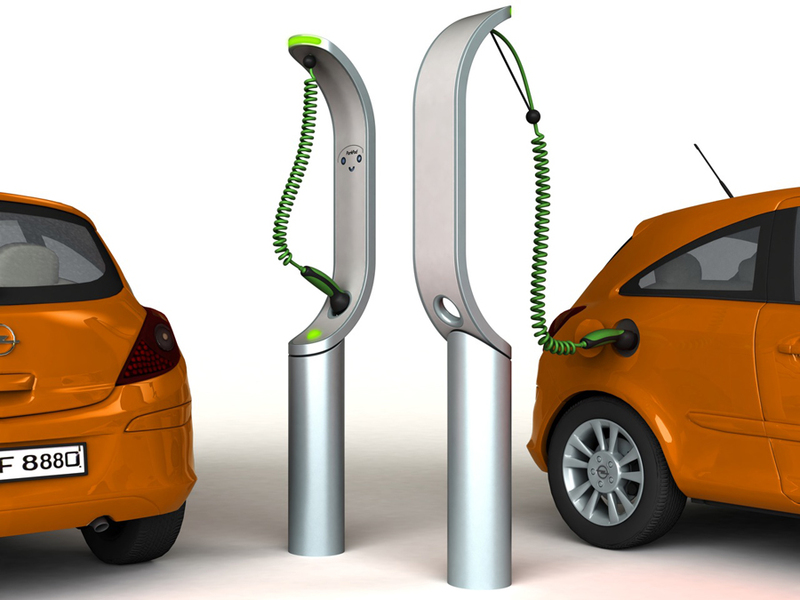 Cord Management...it's the Achilles heel of EV Charging. 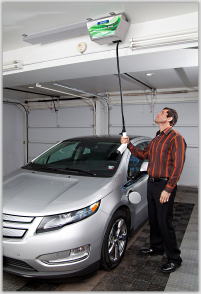 CMI is an innovative company that has a freestanding and overhead mounted EVSE with a retractable cable. When activated by a remote switch, the cable lowers down to an ADA height and allows the user to pull the cable where they want it. When you're done, it slowly retracts the cord back into it's housing. I like the overhead version, as it's compact and looks easy/cheap to install. Retraction method benefits: Cable never hits ground. Cable is protected from theft while stored. Coulomb just debuted a new retractable Level 2 EVSE, model CT2025, that uses a retraction system similar gas pumps...which is a spring-loaded rope holding up the center of the cable (see picture). 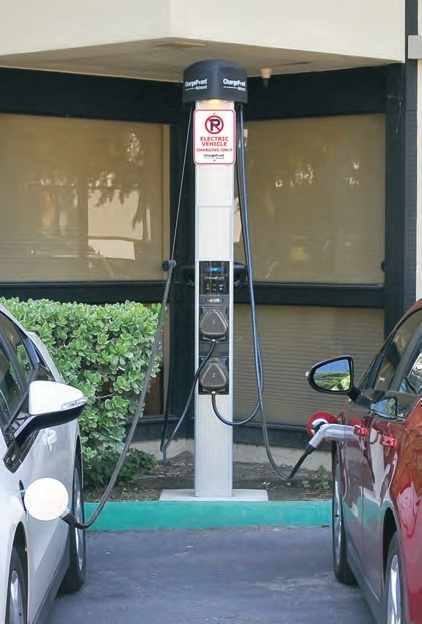 In addition to keeping the cable off the ground, this charging station also has several other nice features, including: place for a EV Sign, charges two cars at Level 2, looks easy to install, and has a light! How is that for well designed? Retraction method benefits: Cable never hits ground. Supports two charging cables. Simple. 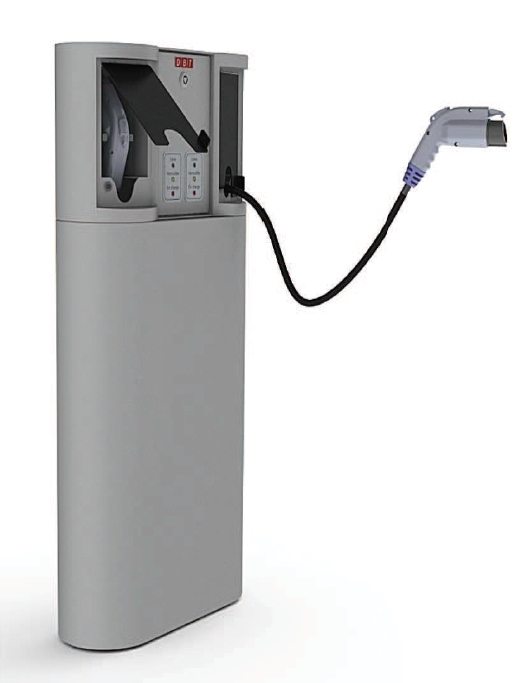 GE's cool looking WattStation (more here) has an interesting retraction system, but no ship date yet. I'm very intersted to see how well this system works especially given how stiff these cables can be in the winter...or prone to kinks in the summer. Another challenge for the design is storing two cables for a dual Level 2 charger. Retraction method benefits: Protects cable from theft while stored. 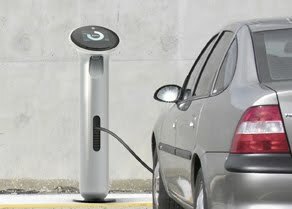 Parkpod has a nice looking EVSE that looks like Apple designed it. Parkpod's retraction system combines a springy coiled charging cable and spring-loaded rope holding up the cable. Together, they ensure the cable never hits the ground. Retraction method benefits: Cable never hits ground. Simple. 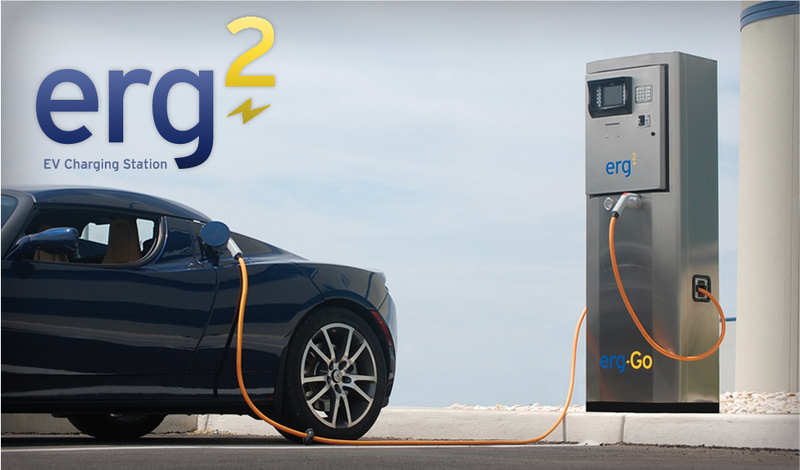 Erg-Go is brand new to the EVSE scene and they are currently taking orders on their first production run. This EVSE is the first one outside of Clipper Creek that has a charge current above 30A...as it will charge at 75A, making it a better fit for customers with fleets (of Tesla's :-) that want a faster charge. DBT has been installing EV Charging stations around Paris since 1995...and now they have a complete line of EVSE for the US market. The SXB unit pictured right is a dual 240/32A unit. In our area the older charging station have had there cables CUT and stolen (copper prices). The standard need to change to allow for a socket and a way to secure ii on bot the car and the station. They should've thought of that beforehand. Anyway, it'll be nice if all the charging stations will have retractable cables. And while I'm at it, I hope there will be affordable EV camper vans too for us who loves going on an outdoor trip.